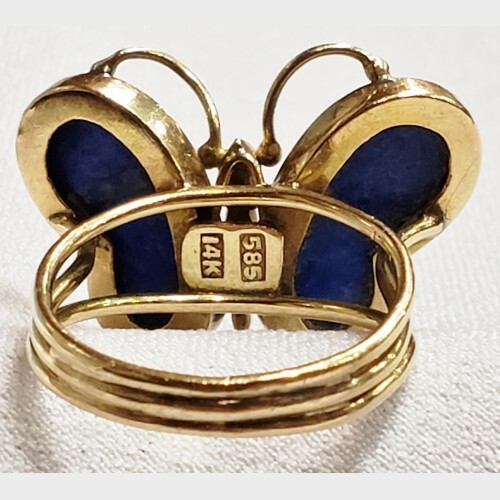 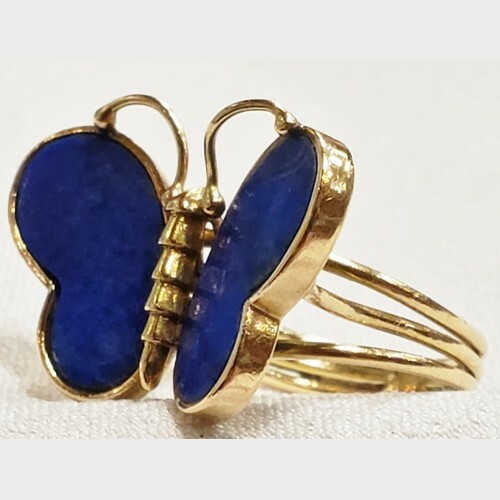 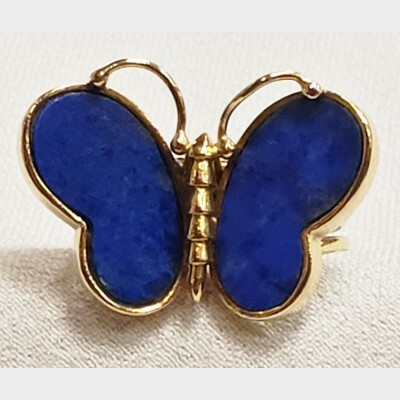 This is a beautiful 14k yellow gold Lapis butterfly ring in a size 5.5. 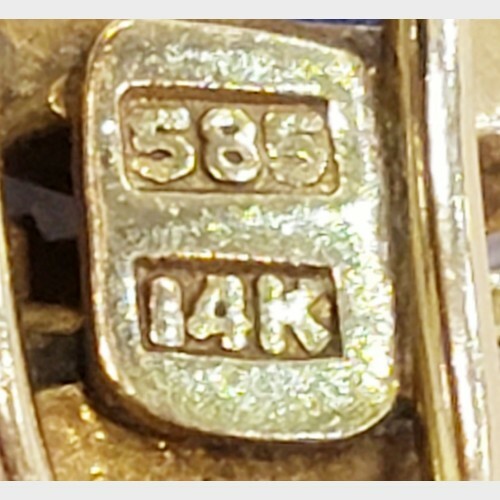 This ring is pre-owned so there is some wear on the item but please look at the pictures to see for yourself! Has "14K" & "585" stamped on the back behind the butterfly.